If you need a dose of happy today, we've got what you need. 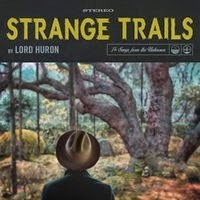 The eclectic Lord Huron released "Fool For Love" via NPR yesterday. The always effective story-teller, Ben Schneider, tells the tale of finding love and fighting for it. Find out how this love story ends at NPR.com. The band's sophomore album, Strange Trails, will be released on April 7. We interviewed the Lord Huron artistic mastermind last year, also known as Ben Schneider. To get insight into his creative genius, take a look at his interview and our live review of their Haw River Ballroom performance. Enjoy!